Like most Australians, I have seen the slow moving train wreck that is the 2016 Australian Census. As a keen observer of technology, I have been following #CensusFail. It is not my intention to comment on the technical failings of the data collection debacle. Instead, I want to look at the bigger picture of how that data – which is likely to be more biased because of #CensusFail – will be used beyond what was publicised. Philosophically, I have no issue with a census being conducted. One of my first jobs was as a census collector in 1996. Through-out thousands of years of history, census’ have been conducted. As Christian’s when the government requires something – provided it does not go against Scripture – we are to comply. Besides, the birth of our Saviour in Bethlehem was due to a census, so we don’t have to ‘What Would Jesus Do?’. We know that Jesus did participate in a census. There is a social benefit to a census. It facilitates the allocation of government resources to community benefits, e.g. transport spend, justification for new schools and hospitals, religious considerations such as SRE, etc. When good governments are in power, this type of information is valuable and used for the greater social benefit. Leading up to the big night, I did not give the process much thought. I was going to fill mine in. The biggest kerfuffle I was aware of were the adverts trying to convince me to mark ‘no-religion/ or to mark ‘religious’. At a lower level, I had heard the rumbles of Australian senators warning against privacy invasion by the government, but knowing the type of questions being asked, I did not see this as a huge issue. All of us have given government agencies far more information of other forms – such as the ATO, Centrelink, AEC etc. And for most of us who are on social media, we have voluntarily provided far more personal information to the world, than what we have to government. So like millions of other Australians, I worked a full day, commuted home, ate my dinner, and then sat down in front of the computer to fill out my form. I was able to successfully complete my census online on Tuesday night, probably missing the site’s collapse by mere minutes. With 6 people in my household, it took all of 30 minutes to complete. I was fairly impressed with the option to enter age, rather than birthdate, and to opt out of have my information stored for 99 years. I selected both those options. However, with the high profile of the collapse of the census, I began to research more about how this information will be handled. I must say, that the bungling of the online collection, does not instil confidence in the integrity of the ABS or their technology partners. If they can’t meet their promises of service, how can we believe their promises of data security? But as yet, at this point it is not a deal breaker. It must be said that the ABS does impose financial penalties on those who refuse complete the census – $180 per day. 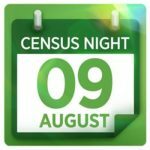 However, with the post-mortem of the failed census night now 10 days old and with barely 50% of households having filled it out, I think it is pretty safe to say that this census will be ruled invalid and no penalties will be forthcoming. The job of collecting the penalties would be too huge and embarrassing for the ABS to contemplate. I think it is likely that this census will be scrapped and the next major census will be in 5 years time in 2021. So when 2021 comes around, as a Christian, I must decide whether I will participate. If I will not participate, my justification must be more than just the fear of a financial penalty. What does come into my thinking is how the government is not being honest with its citizens as to how our personal data is being used. For the first time ever, the data being provided requires a person’s name and address and is also tagged with a unique identifier to build a comprehensive personal profile beyond the information that was given. 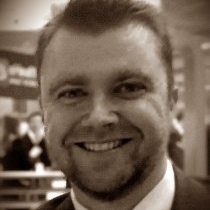 Veteran Australian privacy advocate Roger Clarke warned on his website that data from the census and other ABS surveys would be linked and that “additional data will be expropriated from other sources and added to each person’s record”. So the census is more than just a raw count of statistics. While the raw data collected may be technically destroyed, the interpreted Orwellian profile will not. A larger, secret profile gathering information in that you have provided other government agencies, social media sites and correspondence you have written on your web-based emails. This collective information – in a Minority report way – can be used according to government values not only of today, but the values of future governments. For example: It might be used to target those whom the government of the day religiously disagree with. I am not making any predictions of when or how this will be used nefariously, but suggesting we consider how quickly technology and social standards have moved in the last 20 years and then extrapolate how that data may be used in the next 20 years. At the moment, I don’t have a strong justification on why I should not complete the next census. The best I have is that I am being asked to enter a social contract with a partner who has not demonstrated competence or good faith. I also look to the direction of governments around the world and see that they are increasing becoming more hostile to Christians. I suppose Joseph and Mary and Jesus could have made the same argument against Caesar Augustus 2000 years ago. I feel your trepidation. Although I’m in the US, you wrote that the government already knows more about us all than we care for. They already know who we are and where we stand. So I would personally submit, and pray for the best. We are instructed to “fear not” which is easier basis than done. Things are changing at such a rapid pace, it’s hard to keep up. But, let me share a short story of registering an account for social security. There were so many questions asked, to prove who we were, that you just know, they already had the answers. Like, what care I owned ten years previously. What credit cards owned, and when first activated. Last three addresses. And much more. Seems I passed, because I finished successfully. But you get the picture. So, add all our social media, and online accounts, what we read and write to the list, and answering one important question, seems a light matter considering the weight of everything else. I hope this helps you. While I’m here, and it’s been awhile, maybe you might visit this website of Christian commentary on current events from a prophetic perspective. You can Google the names of you prefer. God bless.